Programmable RGB strips have revolutionized how easily colorful projects can be created at home. As cool as they are, though, making them do something interesting — like reacting to sound — still takes a bit of tinkering. You could design your own device from scratch, but for a ready-made sound-reactive hardware recipe, be sure to check out the Boomstick by CodingTom. 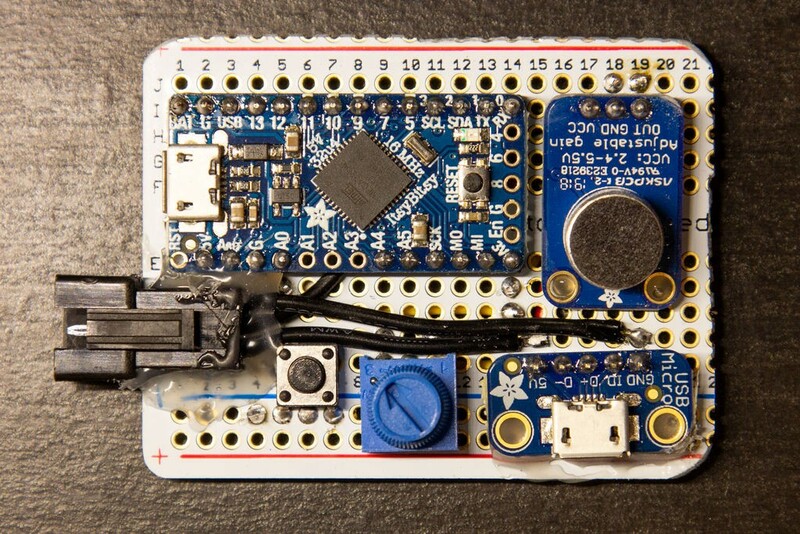 This hack takes the form of a small PCB, containing an Adafruit ItsyBitsy 32u4 board, along with a microphone to pick up sound, a potentiometer to adjust brightness, and a button to switch animations. A micro USB breakout provides power for the LEDs, and the ItsyBitsy’s built-in port allows it to be programmed. Impressively, space on the board is minimized to the point that if you want to protect this new creation, it’s suggested that you cover it in heatshrink, with holes cut for the controls and ports. Besides the Boomstick board’s small size, what really sets the write-up apart is its explicit description of how everything is put together. Even if you don’t need a sound-reactive LED controller, it’s worth checking out for tips on subjects like how to properly strip breadboard wires and solder connector pins. Code for the build can be found on GitHub. Animate LEDs with Boomstick was originally published in Hackster Blog on Medium, where people are continuing the conversation by highlighting and responding to this story.